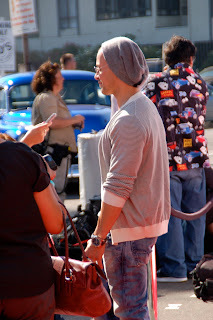 Last week we actually got to Meet Lightning McQueen in person. All while eating Bob's Big Boy Burgers! And their World Famous Fudge Cakes! Check Out the 50s Diner that they set up outside, in the Car hop area. Tori Spelling was there too. Her family is very cute! Bob's Big Boy in Burbank had a make-over! Check out what they did to the place! We were greeted by Lightning McQueen himself - KA-CHOW! Along with his friends Mater & Sally. 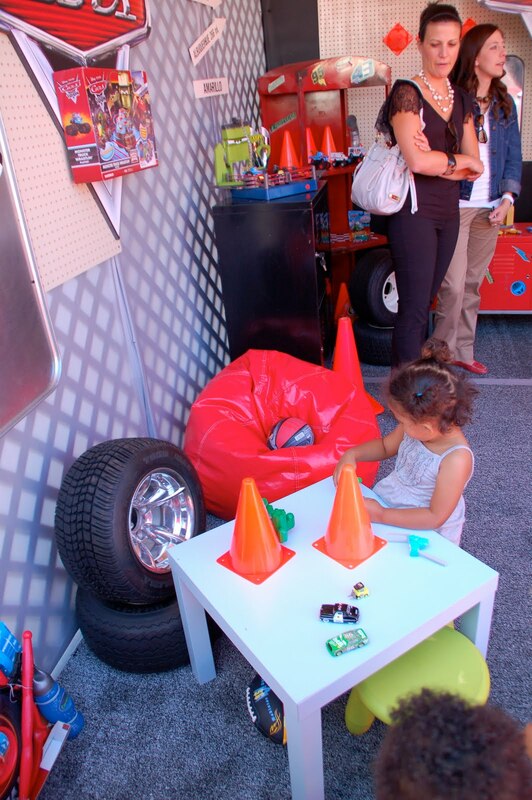 There were stations for the kids to play with all things CARS. Which was a real treat. My daughter is obsessed with all pixar movies. I mean a FANATIC. Like she knows all of the lines from these movies, so coming to an event like this was beyond a dream come true for her. And anything Disney does, they do it better than anyone can. This Special Event was to officially launch the new game by Disney/Pixar. THE WORLD OF CARS Online is a virtual world based on the hit Disney/Pixar animated feature CARS. 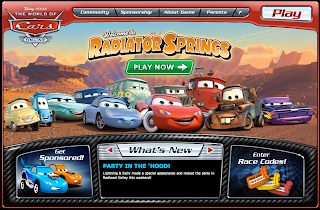 Where children can Play as the CAR with all of their other favorite CARS characters all online in a safe environment that parents can trust. Get started and go sign up, then create a CAR of your very own. My daughter and I did... Look what we came up with! *World of Cars is designed especially for 6-12 year old kids, but is open to all ages. My daughter is 3 and she enjoyed playing it! See ya in Radiator Springs Y'all! but I was invited to the Fabulous Event & given a swag bag. Best Event Ever!!! I loved every minute of it! I gave you some Link Love on my site as well sugar pie! See you soon Hot Lips! Wow looked fun! My kids would be in heaven as they are huge Pixar movie fans as well!